Adrenal fatigue can occur when sodium in the diet is too low, cortisol levels are too high from stress and/or training stress, and also when anabolic steroids have been run for too long or testosterone has been elevated higher than normal without a break. You may get away with something for a few years, but sooner or later you'll just find yourself bunt out and needing a way to get progress started again. When it comes to dieting and training, your body gets used to it. Your body gets used to diet food and stops responding as well when all you've eaten is diet food for several months and/or years. When this is the case, I do not suggest eating junk but I do suggest changing food sources and quantities per meal. It's time to stop starving yourself when you go through this type of fatigue and need to rest your system. You are doing your body no justice anymore by eating below a caloric deficit and driving yourself into the ground. This isn't like all my other articles suggesting diet, diet, diet…cut, cut, cut!!! Let's talk about going the other route to set yourself up for better health, gains, and mental sanity!! Basically what reverse dieting means is slowly incorporating foods back into the diet that aren't part of a normal “fat loss diet.” For myself this is basically 1 meal a day that is not a diet meal. This could be anything from a burger and fries, sub sandwich, yogurt, cottage cheese, chicken wings, pretty much something with some sort of nutrition and building value to it but not considered normal dieting food for me!! I will usually place this meal mid-day closer to the workout time than at night. One thing you'll notice when reverse dieting is that you're going to pack on size extremely fast. This is the time when I'll start hearing comments almost everyplace I go about my build, it's when my muscles look full and healthy rather than flat. Another thing I like to do during this period of trying to reset my system to respond to training again is backing off the intensity and frequency of my workouts. What will happen here is I'll immediately have more energy and the the brain fog will go away. That day to day feeling of being groggy and tired all day goes away!! I pretty much cut work weight in half and change rep schemes. Think of this as enough to call it a workout but not enough to tax you to any degree. So if you're someone who regularly squats with 405 lbs x 12 reps, in this phase you would drop to 225 lbs and stop at 6-8 reps.
During the deload you will not necessarily stay at the same work-weight the entire phase and I'm going to tell you why…….YOUR BODY WILL BE BEGGING TO TRAIN HEAVIER!! What's going to happen is you'll be getting stronger and stronger at a very rapid rate!! 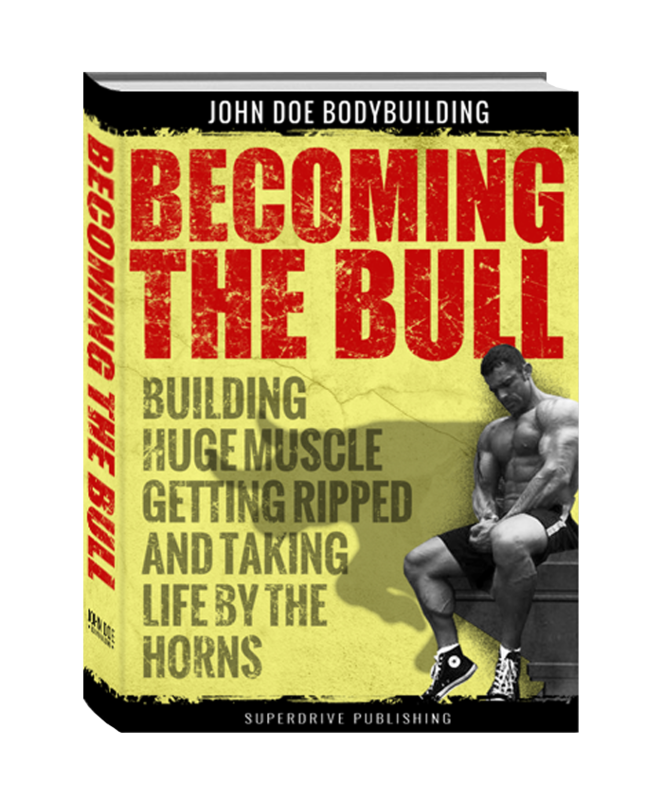 You are no longer training your body to fail every set and the added food, deloaded stress, and increased recovery all come together in a perfect storm creating one thing…MAJOR ANABOLISM!! My advice is to keep your cardio in the mix. We don't want to put on a lot of body-fat here, we just want our muscles to heal and respond again to working out like they used to. I personally would stick to cardio 3-4x/wk at minimum, even if it's just 20 minutes a session. Cardio will do nothing to inhibit recovery and gains here since you're backing off the weights a little, and it'll keep you from packing on too much fat. 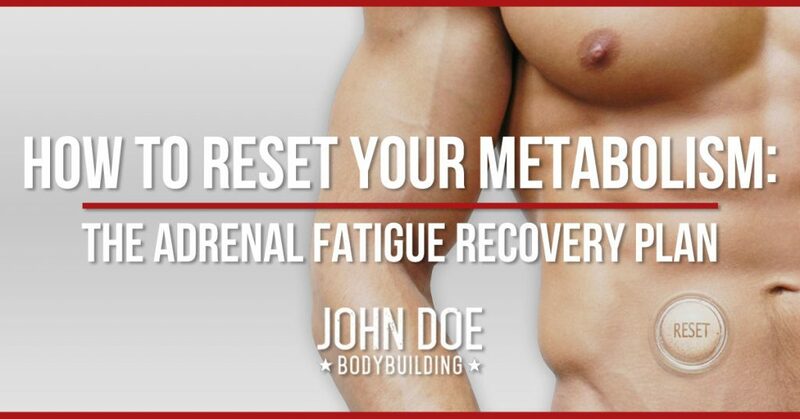 HOW LONG TO DELOAD FOR TO RESTORE METABOLIC RATE/ADRENALS? 6 weeks. It's going to take about 6 weeks to get yourself to a point where you can go back into a normal training regimen again and increase intensity. You will be doing yourself a huge favor by going through this phase. You will be doing your sanity a favor, your joints a favor, your time, and your overall health!! As for frequency and type of workouts, I'm just going to share with you what I do myself. I resort to full upper body routines once every few days and 1 lower body routine per week. I train my upper body more than my legs because personally I don't want my legs any larger and they hold size just fine despite infrequent training compared to upper body. I hit on a muscle group and then it's off to the next muscle group, then the next. I'll perform a few sets for each muscle with short rest phases since the sets are easier since I'm training lighter and not going to failure. Before training I will dissolve 2 regular alka-seltzer tabs in water and drink it. This helps reduce the amount of acid produced from training and can improve recovery. It's sort of an old-school thing bodybuilders did, but not many know about it anymore. The meal before training will consist of protein and a mix of complex AND fast acting carbs. So today for example, my pre-workout meal was 2 slices of multi-grain toast with jelly, and a protein shake using Red-Supplements ice cream protein. This served as a good pre-workout meal because all of the nutrients got into my system quickly and I wasn't as sluggish as if I were to eat a bigger meal prior to the gym. During my gym time I drank a Gatorade between sets. I do not practice “inner workout” nutrition (meaning anything with sugars or calories during the lift) all of the time, but during phases such as this my goal is to prevent AS MUCH catabolism and breakdown as possible in order to speed up recovery and stay fuller looking and pumped. What you'll probably notice pretty quickly into this regimen is that you're looking much larger and fuller and not packing on the fat you thought you would from basically incorporating 1 “free meal” per day into your meal plan. You're probably going to look and feel larger than you did when you were training balls to the wall and staying beat down all the time. This is when you know that you truly needed a break!! Makes sense, great read as always JDB. One question, as a Type 1 are you needing more insulin during these six weeks or less? I can’t think of any reason why anyone would listen to anyone but you. I read your posts religiously. I had this problem recently and wished I had had your instruction. When I get up some funds I’m going to hit you up. Funny, I just woke up and read that is “I can’t think of any reason someone would listen to you” hahahaha, had to read it twice. Thanks bro! !